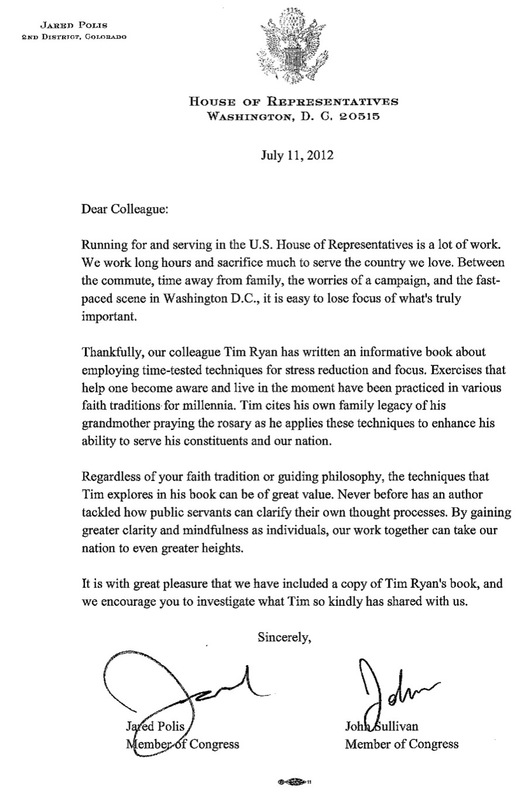 This Mediators Foundation project catalyzed a distribution of a new and important book by Congressman Tim Ryan to Members of the US House of Representatives and US Senate. We undertook this project because we feel that A MINDFUL NATION brings an urgently needed perspective to public policy. By exploring the benefits of applying mindfulness to the work of government, this book breaks new ground. It demonstrates that “politics” and “consciousness” are not unrelated, but in fact are intimately intertwined.